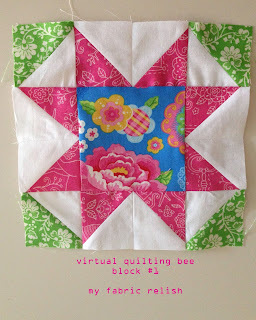 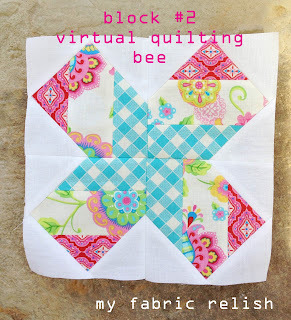 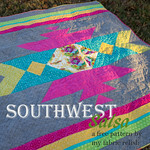 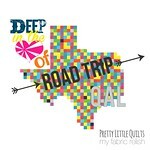 Welcome to my virtual quilting bee headquarters...this is where I will post all my blocks for the bee. 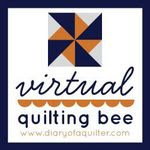 To find out more about this bee, check out blog Diary of a Quilter by Amy Smart here or click the button below. There will be a new block designed by someone different every two weeks and at the end of the 8 months, we will have a total of 16 blocks. 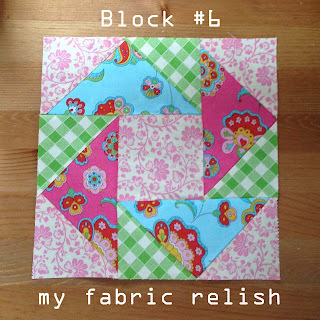 Under each picture will be the link to the tutorial for that block. 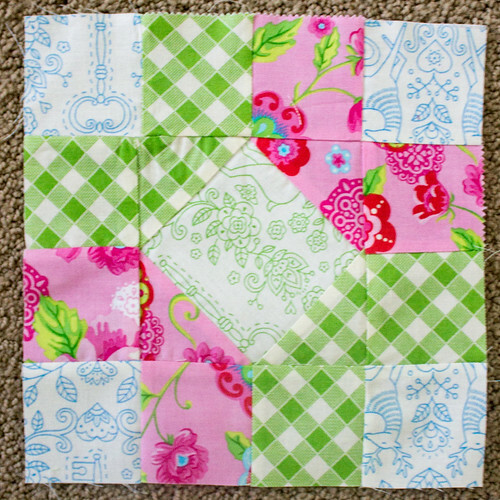 I am doing my blocks in Gypsy Girl by Lily Ashbury for Moda. 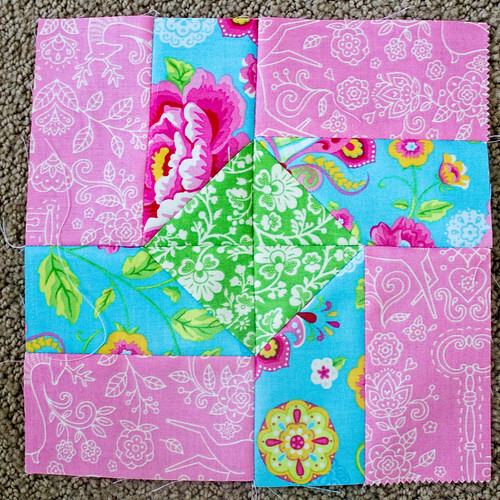 I love the bright colors! 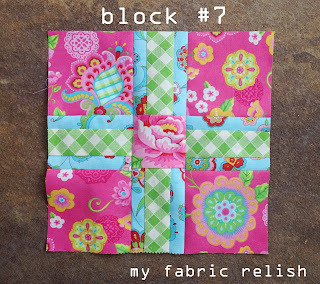 Block #11 tutorial by Amy from Amy's Creative Side. 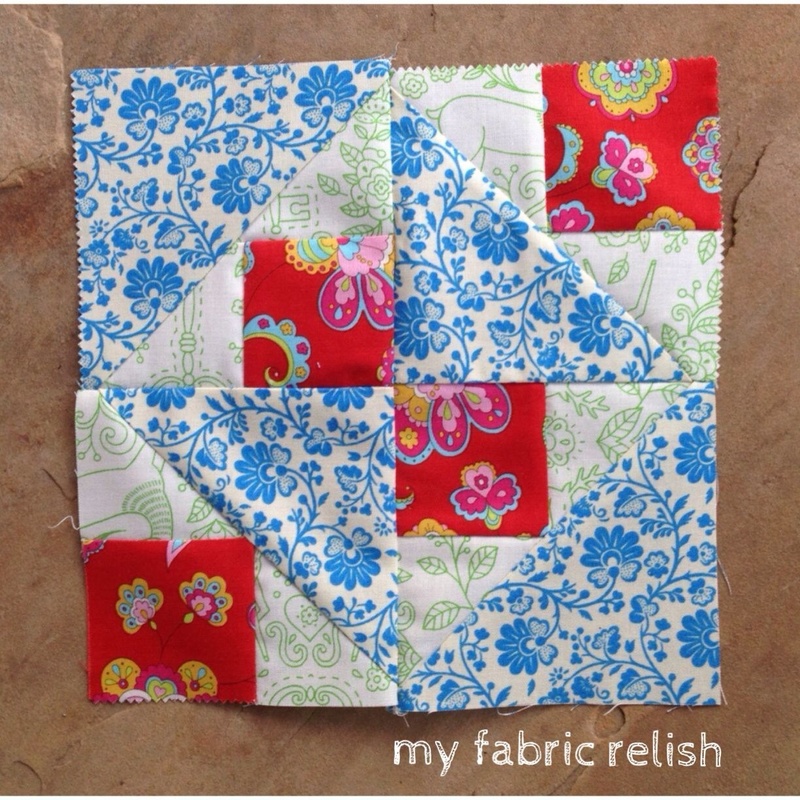 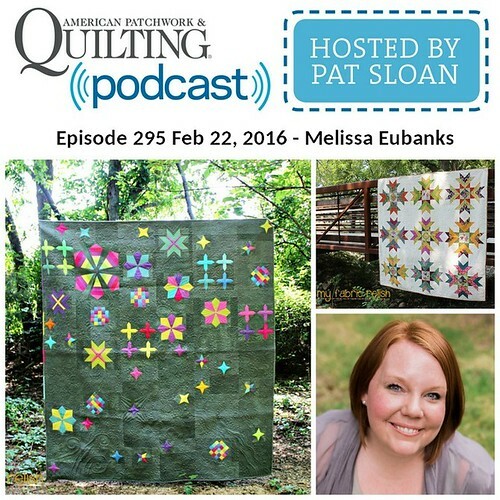 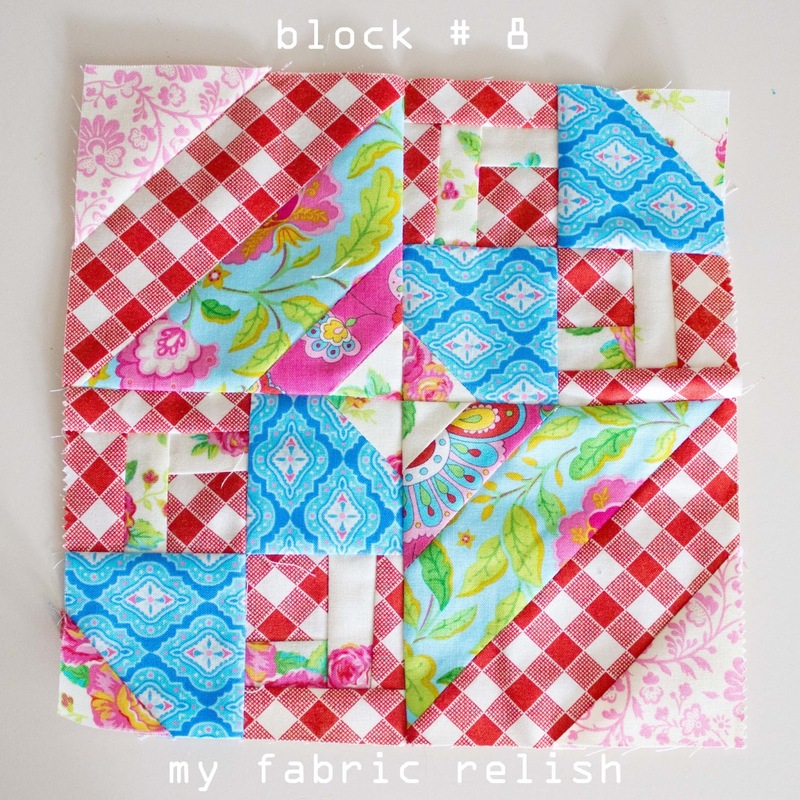 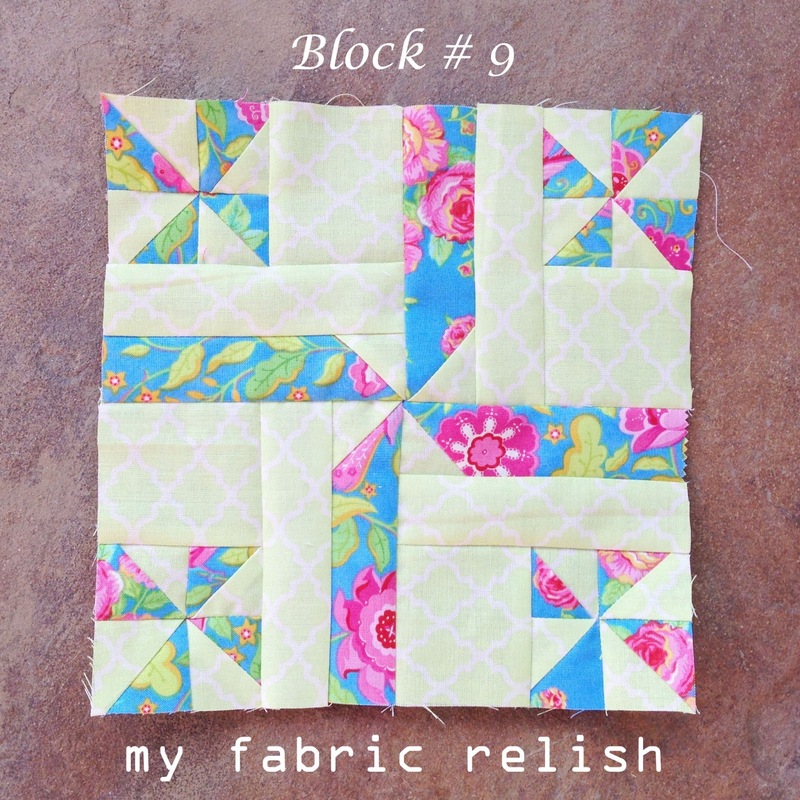 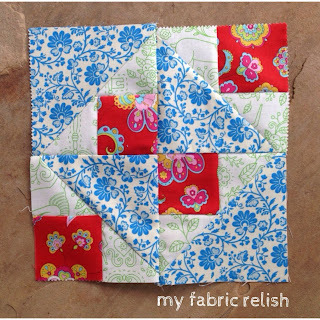 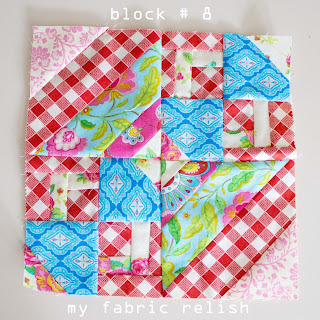 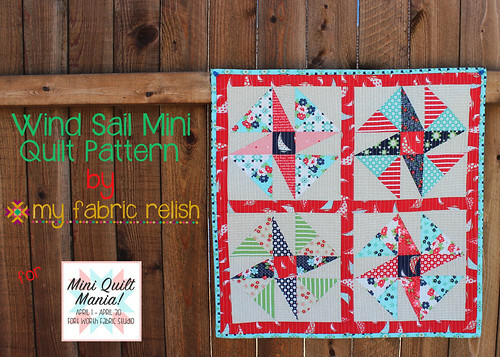 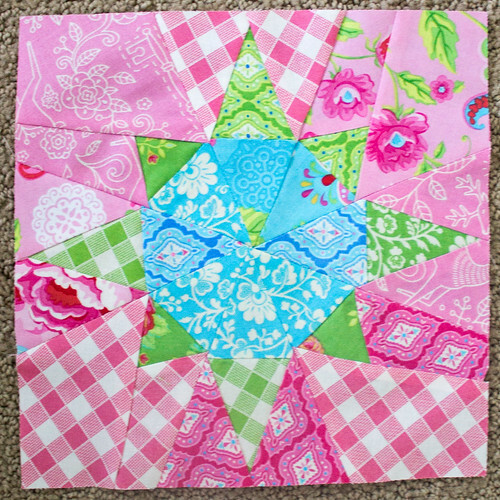 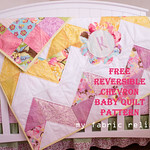 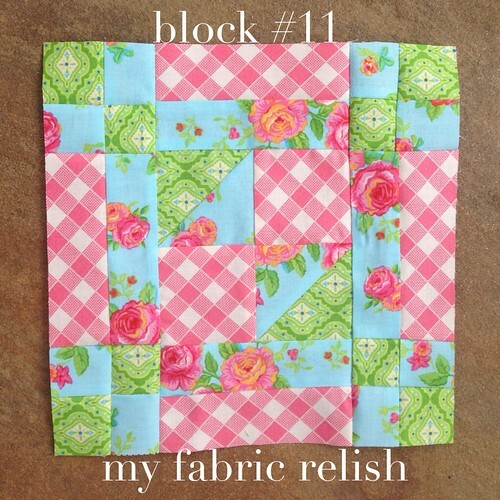 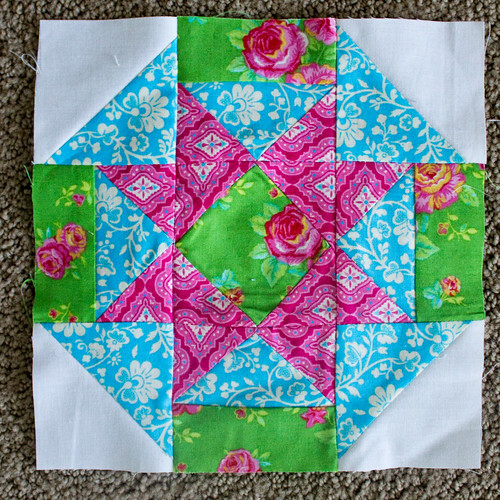 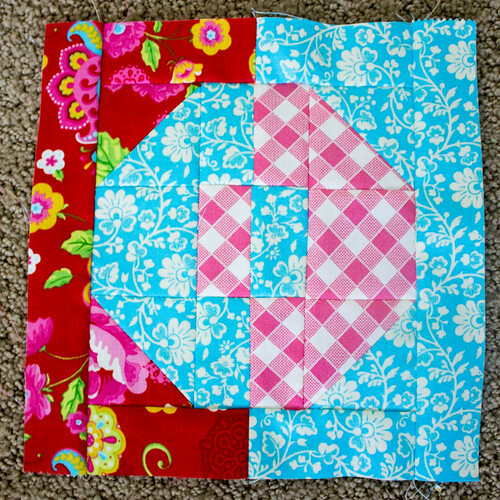 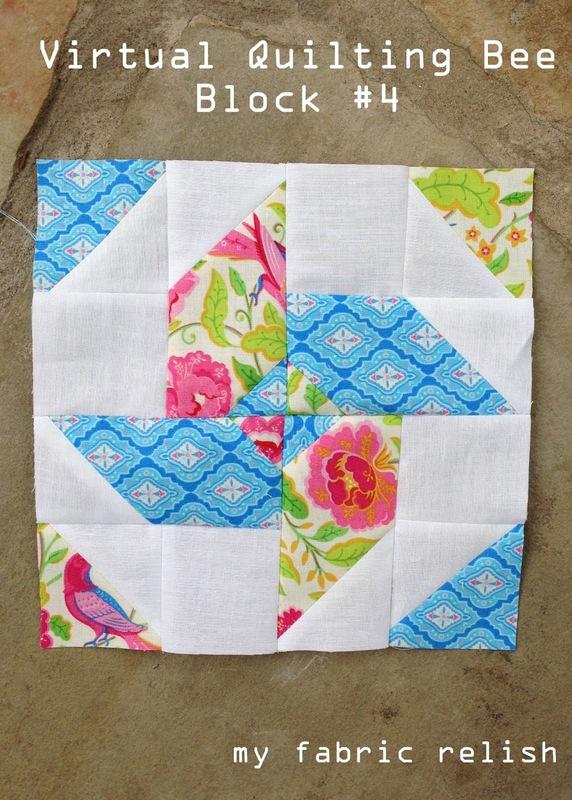 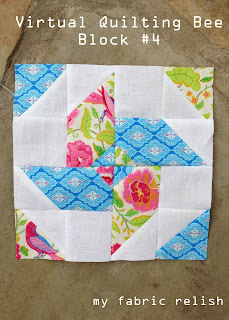 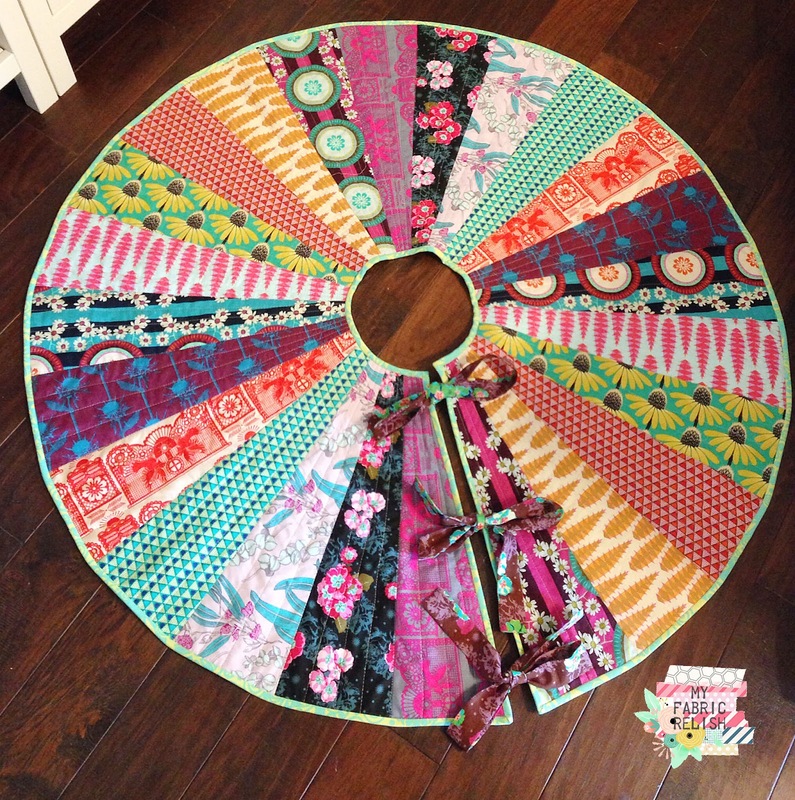 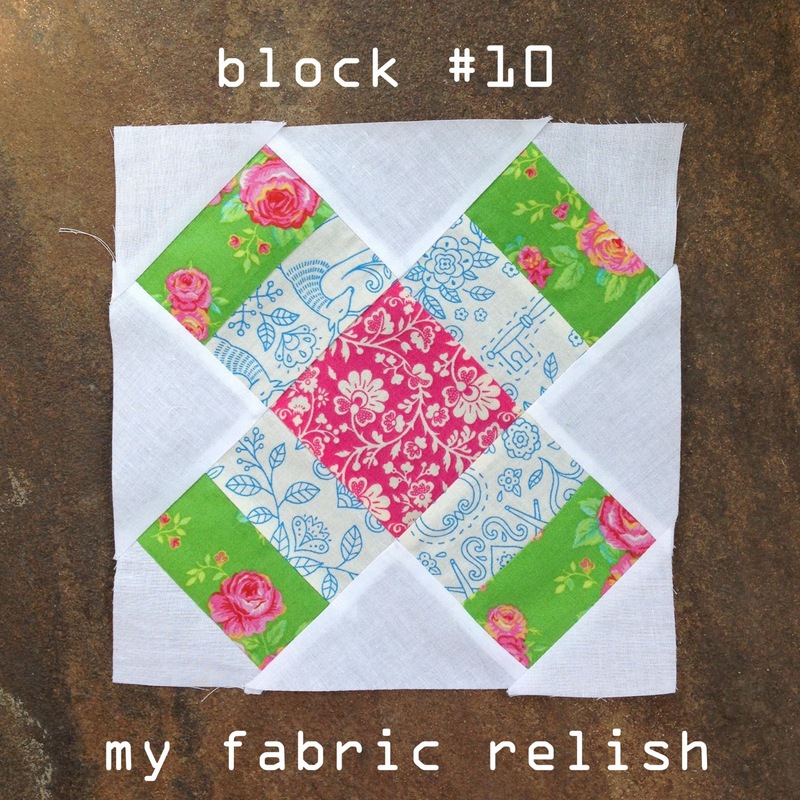 Block #10 Tutorial by Leigh of Leedle Deedle Quilts. 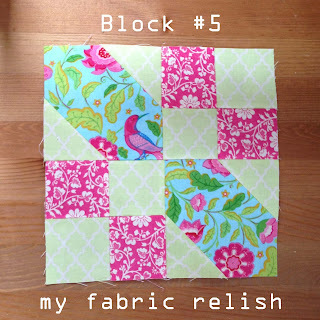 Block #9 Tutorial by Colleen Molen of the Busy Bean. Block #8 - half way there! 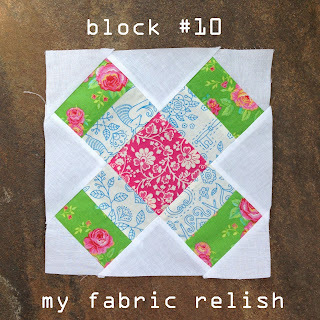 There is also a flickr group to share your block pictures as you go....check it out here.